As a business owner, employee productivity is one of those things you just can’t ignore. This is especially true during the summer months. The hot weather can leave your workers fatigued or day-dreaming about the beach. It’s important to mitigate these productivity-killers as soon as you notice them. After all, early intervention can keep small problems from becoming major disasters in every industry. Here are a few helpful ways you can help to improve your employees’ productivity during these long, hot summer months (and throughout the year). Rid your workplace of motivation killers. Nothing puts a damper on productivity quite like a lack of motivation. Take a look around your workplace to figure out what in your work environment might be doing more harm than good. Common motivation-killers include a lack of organization and toxic personalities. During the summer months, motivation-killers can also take the form of poor AC and hydration. Be proactive about changing your work environment to get rid of these motivational setbacks. Give your trucks regular breaks. Sometimes the productivity killer in your workplace isn’t a person. 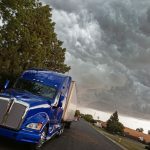 During the summer months, your trucks can become easily overheated. Be sure that you’re refueling them and that they have enough coolant. Similarly, be sure your workers are receiving regular breaks and drinking plenty of water. Heat exhaustion can be dangerous. Have your workers get re-certified. Hazmat workers are required to complete at least 40 hours of training as mandated by OSHA. 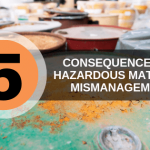 If your business regularly works with hazardous materials, it may be worth having your workers get re-certified. 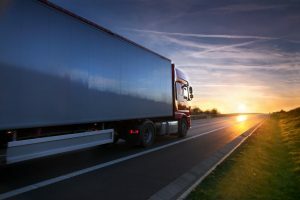 The best way to work and transport hazardous materials can change. And the more your workers know about the products they’re working with, the more efficiently they’ll perform. Communicate effectively with your workers. Communication is key in the business world. When you don’t have an effective system of communication, you risk losing productivity. You also risk losing goals you’ve had set for your business. Create a system of communication in your workplace that’s effective and efficient. Your employees need to know the hierarchy and expertise within your business. When they’re confused, they need to know who to reach out to. This reduces confusion and keeps things running smoothly. DOT hazardous materials training is a requirement for those working with hazardous waste. 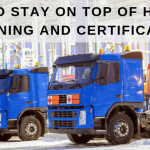 To learn more about DOT hazardous materials training and IATA online training or to learn how you can receive your DOT hazmat certification, contact Hazmat School today.